200 East is an impressive Mediterranean-inspired nine-story luxury condominium building situated directly in the heart of Downtown Boca Raton. Developed by Millennium Homes beginning in 2009, 200 East occupies more than 26,000 square feet of prime downtown real estate and is home to 115 downtown luxury condos, multi-level townhomes with attached garages, and private penthouses. 200 East in Downtown Boca Raton offers a variety of floor plans from which to choose, allowing homebuyers to customize their living space to suit their unique needs and design preferences. Condos at 200 East typically offer two to four bedrooms and range from 1,700 to over 4,300 square feet of luxurious living space. 200 East Condos feature a host of contemporary interior finishes, spacious living rooms with 9’ ceilings, massive light-filled windows, and private terraces with sweeping panoramic views of prestigious downtown Boca Raton, the Atlantic Ocean, and the surrounding tropical landscape. Each of the downtown condominium residences at 200 East is complete with many highly desirable features, offering homebuyers the absolute finest in premium luxury condominium living. Master bedrooms in 200 East condos feature spacious walk-in custom closets and private verandas. The master bathrooms boast full ceiling imported marble showers, luxurious whirlpool tubs, and elegant fixtures. The chef-inspired kitchens at 200 East feature state-of-the-art appliances, custom cabinetry, and sleek marble and granite counter tops. In addition to the upscale amenities at 200 East, each condo has a user-friendly Smart-home technology application that provides owners with an enormous amount of information at the touch of a button. Residents can check if their dry cleaning is ready for pickup or if their car wash is complete, or even browse the latest menu in the building’s restaurant. 200 East is also a pet-friendly condominium building, allowing residents to have up to 2 pets. 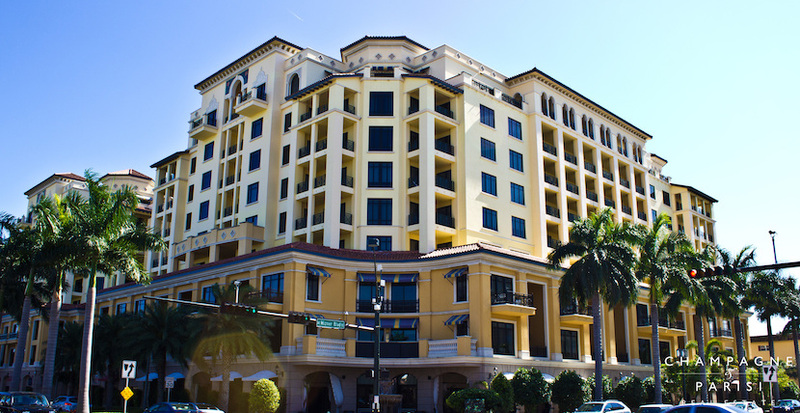 200 East is located at 200 East Palmetto Park Road in the heart of downtown Boca Raton, FL. 200 East condos are just two blocks from all of the exceptional dining, shopping and cultural and social entertainment options that Mizner Park and Royal Palm Place have to offer. Not only is 200 East perfectly situated in the center of Boca's vibrant downtown district, it is also just 1/4 mile to the Atlantic ocean and just minutes to the 5-star Boca Raton Resort and Club. If 200 East sounds like the perfect place to suit your lifestyle, you may also want to visit similar downtown condominium communities in Boca Raton, such as Tower 155 and Townsend Place, which also offer luxurious condo living in heart of all the action and excitement happening in downtown Boca Raton. If you are interested in purchasing a condo for sale at 200 East or any of the surrounding downtown condos in Boca Raton, please contact us at 561-235-7800. You may also reach us by completing our simple online contact form provided below and one of our expert agents will reach out to assist you. We at Champagne & Parisi Real Estate look forward to assisting you in finding your next dream condo in always sunny Boca Raton!